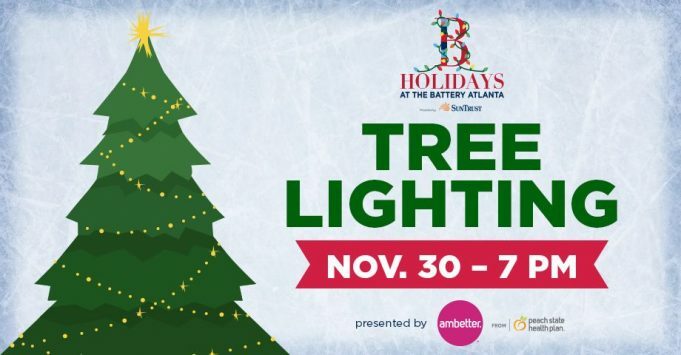 The annual Tree Lighting at The Battery takes Friday, November 30, 2018 and features appearances by Braves players and the Braves mascot BLOOPER. The fun starts early with free Santa photos from 4pm to 9:30pm. Santa’s oldest helper Papa Elf will be on hand to entertain visitors from 4pm to 8pm and guests are invited to snap a photo on Santa’s reindeer-drawn sleigh from 6:30pm to 8:30pm. Immediately following the Tree Lighting is a holiday light show throughout the Plaza. The evening ends with a screening of The Polar Express, on the Plaza screen.